When it comes to the security of your home or business in New York, you want the best services that you can find. The last thing you need is a fly by night operation that will come in and install mock sensors and an impressive digital panel that does nothing. Believe it or not, this happens frequently. 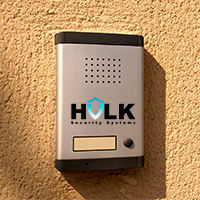 There is no need to worry if you hire the services of Hulk Security Systems. You can be sure that you are getting the very best home security products on the market, installed by professionals with years of experience. Hulk Security Systems in NYC, founded in 2009, maintains a goal to provide the highest level of Security Services to our clients, both small and large. We want you to be confident that you have the best Home Security Products and business security products available today. We provide services 24 hours a day, seven days a week and possess the skills and the knowledge to complete any job large or small and anywhere in between. Intruders can crawl into old spaces and find a way in. Protect your investments, protect your property, maintain the safety of your family, and rest assured knowing that you had hired the very best in the business in the New York City area. We offer wireless home security systems which are far more advanced and reliable than outdated Security Systems. We offer you reasonable prices and excellent service guaranteed. Trust the best in the business and you will be pleased with what you get. 11004,11101,11102,11103,11104,11105,11106,11354,11355,11356,11357,11358,11360, 11361,11362,11363,11364,11365,11366,11367,11368,11369,11371,11372,11373,11374, 11375,11377,11378,11379,11385,11411,11412,11413,11414,11415,11416,11417,11418, 11419,11420,11421,11422,11423,11426,11427,11428,11429,11430,11432,11433,11434, 11435,11436,11691,11692,11693,11694,11697.